Are you buying new rubber for the whole Pickup well its hard to forget about the door window sash rubber. This particular piece fits into the sash which is located at the bottom of your door glass. 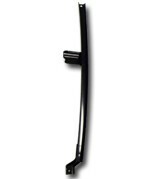 USA1 Industries offers factory replacement door glass for your Chevy & GMC Truck in clear and factory green tint. Metal channel that mounts inside at the rear of the door shell and guides your Chevy & GMC Truck's door glass up and down. 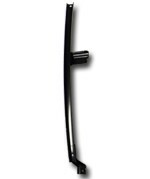 This metal track holds your front door glass and is how the window regulator attaches to the glass.